The O1 allows people with extraordinary abilities in art, science, sports, and business to go live in the United States and work there legally. This is issued to foreign nationals who have extraordinary ability and have reached heights in art, science, sports, and business. Achievements must be recognized locally or internationally. A person must have such knowledge or abilities that will set them apart from other people. This can be obtained by musicians, artists, actors, film and TV figures, athletes, scientists, entrepreneurs, researchers, designers, photographers, chefs, hairdressers, and other people with extraordinary abilities. This is a great way for talented people to immigrate to the United States. 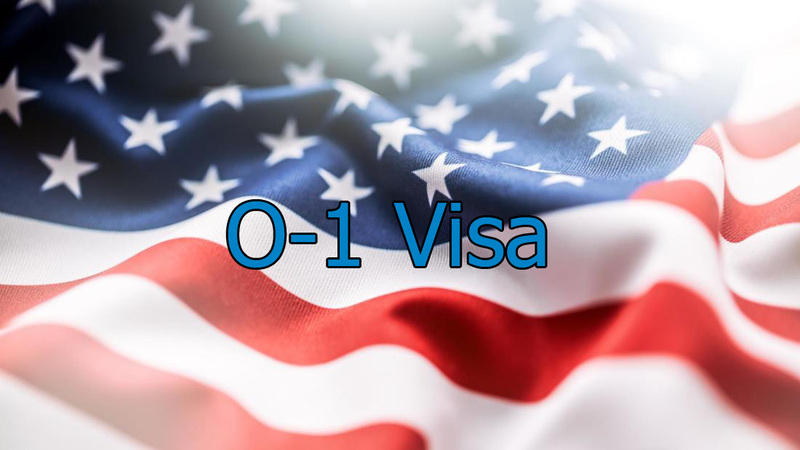 O-1 in the U. S.
O-2 in the U. S.
People who accompanying the artist or athlete with an O1 visa can receive O-2 Visa (assistants and accompanying staff). The assistant must be an integral part of the activities of the O-1 holder. An assistant must have such important skills and experience for a successful performance or activity with an O-1 holder that an employee of a US citizen cannot easily fill. O-3 in the U. S.
O-3 is issued to spouses and children (under 21) of O-1 and O-2 visa holders. It turns out that even the assistants will be able to take the family with them. Receiving international and national awards and prizes. Possession of a Grammy Award or a Nobel Prize is enough for you to be immediately recognized as an outstanding specialist. Participation in the activities of any organization that unites people with outstanding abilities. Publications in the press about you as a person with extraordinary abilities. Participation as an expert in the assessment of the professional activities of others. For example, a person judged or evaluated the work of others – he participated in the jury or was a member of various commissions, committees (for example, the committee for nomination for the Nobel Prize or Oscar). Documented evidence of the contribution to the development of science, culture, education, economy. Personal exhibitions or shows that have been shown in several countries. Work on a leadership position in an organization that has a solid reputation. For example, the applicant headed the Union of Artists of his country. Getting high incomes from the results of their labor. Commercial success from a performance, film or a performance with your participation. For example, an expertly staged a musical or ballet, which was a huge commercial success. Some items may scare you, but it is not as intimidating as it seems.It is not necessary to have publications only in the printed press. Online publications for websites and blogs work well too. Duration of stay and the extension of the status Visa O1 is issued for 3 years. It can be renewed an unlimited number of times – annually for 1 year until the end of life. Contact Houston immigration lawyer Gasana and get a free consultation on Houston Employment Based Immigration.